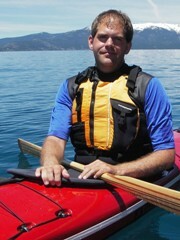 Andy Walters – Andy got his start in sea kayaking 9 years ago and quickly got hooked. Besides regularly paddling the central California coast from Big Sur to Mendocino, he has also traveled to the UK, Ireland, Alaska, Washington, Lake Powell, and the Grand Canyon. Andy started teaching through Riptides and Rapids in 2003 and holds BCU sea kayak and ACA whitewater instructor certifications. 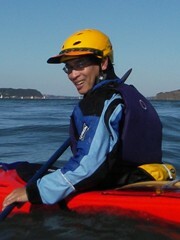 He is also a former president of Western Sea Kayakers, a local club based in the South Bay. Ray Carig – Ray's extensive background in the outdoors includes a healthy appetite for paddlesports that spans over a dozen years. He has also gotten involved in the BCU coaching system and is a former instructor at Riptides and Rapids. Nothing excites him more than seeing students progressing and wanting to take their skills out to new places.